Strongman Eddie is not just a good movie, it may well be the best muscle - head film since Pumping Iron! Being Full length, well produced, with well thought out storytelling makes the film solid in every way. 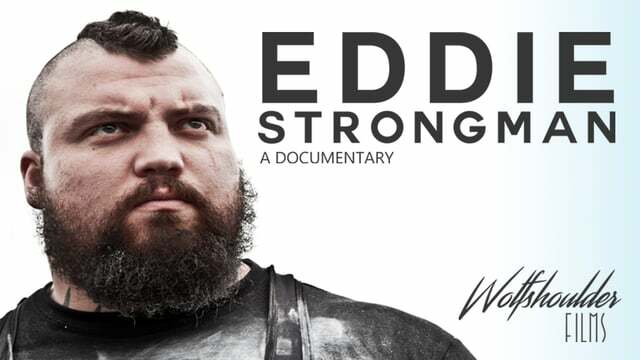 Eddie Hall and the rest of the strongman universe makes this film engaging and fun. Covering almost every aspect of the life from work to workouts, home life (and home trials) to the absurdity of international travel at 300+ lbs. All told Eddie Strongman is a must own bit of muscle history.